Proxxon German precision engineered independent four jaw chuck for use with DB250, 37020 micro wood turning Lathes used to clamp asymmetrical pieces such as rectangles. The DB250 headstock spindle of threat metric 16 by 1 screws directly into chuck. Overall dimensions: 1.81 in. H x 3.93 in. W x 3.42 in. D, 0.2 lbs. Freud operates one of the most modern product development research centres in Europe for cutting tools. By overseeing the entire manufacturing process from start to finish, Freud guarantees the highest quality, most advanced products in the industry. Every Freud router bit is heat-forged from a high grade steel bar. 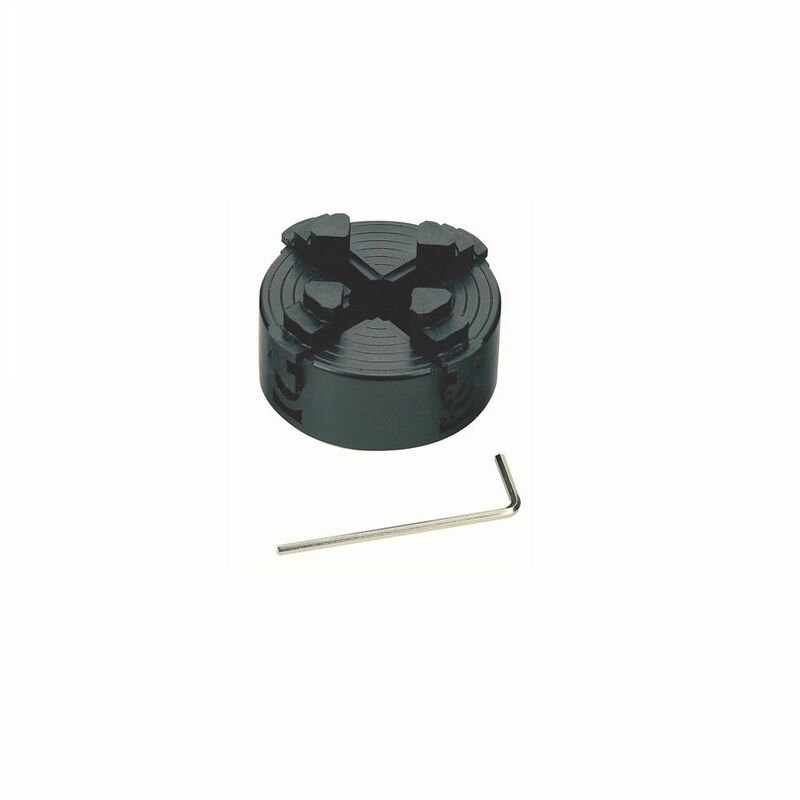 Once forged to the desired shape, the steel is then turned down to a precise router bit body. This method produces a radial grain orientation to ensure maximum strength and durability. Four Jaw Chuck for DB 250 Proxxon German precision engineered independent four jaw chuck for use with DB250, 37020 micro wood turning Lathes used to clamp asymmetrical pieces such as rectangles. The DB250 headstock spindle of threat metric 16 by 1 screws directly into chuck. Overall dimensions: 1.81 in. H x 3.93 in. W x 3.42 in. D, 0.2 lbs.